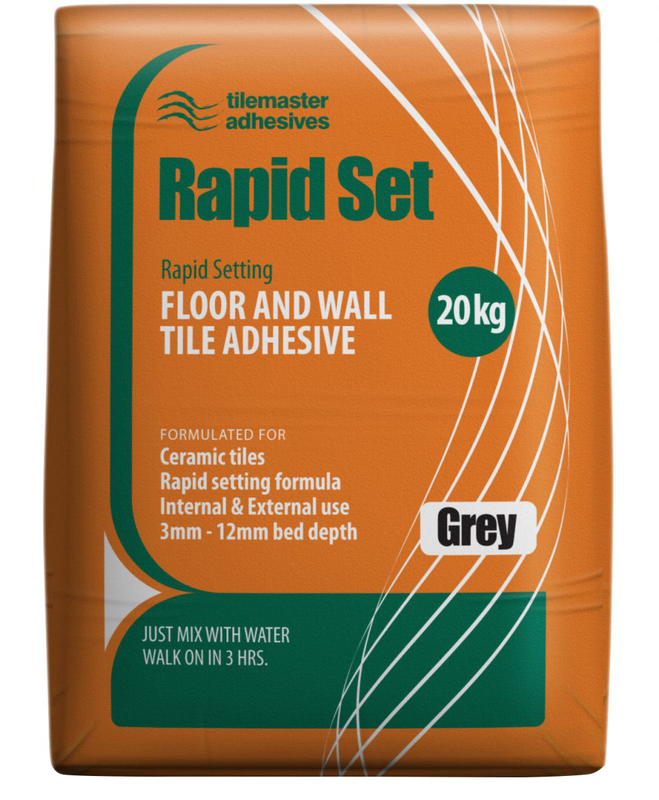 Tilemaster Magix-R is a revolutionary, flexible, rapid setting, cement based floor and wall tile adhesive with exceptional workability and adhesion properties. 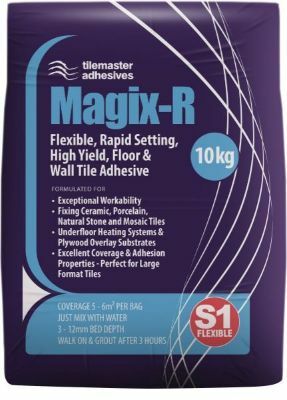 Tilemaster Magix-R has been specially formulated using advanced material technology to achieve exceptional workability and extra high yield. 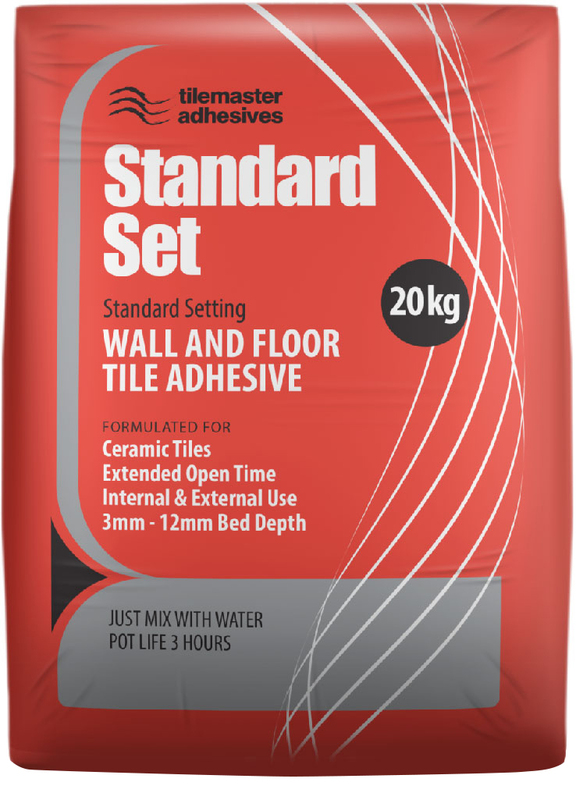 A 10kg bag provides equivalent coverage to that of a typical 20kg bag of sand/cement adhesive. 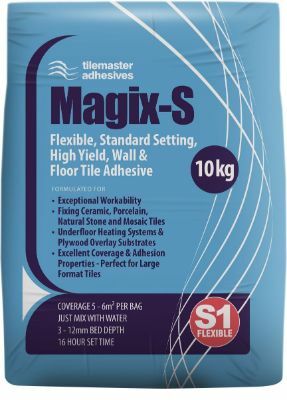 Tilemaster Magix-R is suitable for fixing a large variety of tiles including ceramic, porcelain, natural stone and mosaic tiles to substrates subject to limited movement and/or vibration such as plywood overlay, plasterboard, timber framework and underfloor heating systems as well as for fixing to solid substrates such as concrete and sand/cement screed. Tilemaster Magix-R has excellent wetting out properties, making it ideal for installing large format tiles and natural stone tiles. 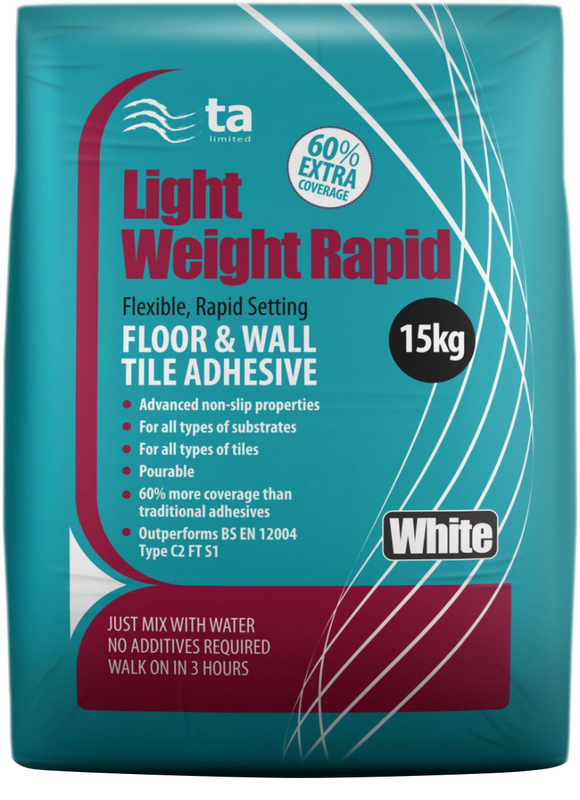 Tilemaster Magix-R is suitable for use in areas subject to prolonged wet conditions such as showers, wet rooms and swimming pools. The rapid setting capabilities of Tilemaster Magix-R allows for light foot traffic and grouting after 3 hours. Tilemaster Magix-R is suitable for use internally and externally and is unaffected by frost after setting. Tilemaster Magix-R has been developed with the environment in mind. The unique formulation and high yield coverage of Tilemaster Magix-R contributes to a reduction in carbon footprint when transporting materials. Tilemaster Magix-R enables 100% more product to be transported at the same capacity as traditional sand/cement based adhesives. Tilemaster Magix-R also contains recycled materials.